Investing into solid risk management software is essential for any business. 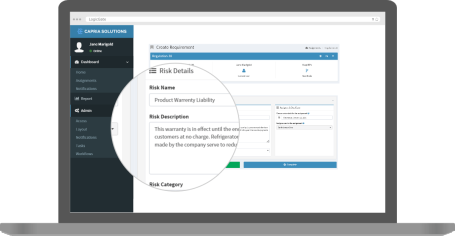 LogicGate Enterprise Risk Management is a platform you should consider if you’re serious about risk management in your company. LogicGate Enterprise Risk Management software is a solution designed to help companies intelligently identify, asses and monitor business risks. The platform provides accurate insights into a company’s business activities and makes analyzing possible risks easier thanks to a highly customizable risk engine. The core features of LogicGate Enterprise Risk Management platform are built around identifying, assessing, monitoring and documenting business risks. The platform features an intelligent engine that uses special methodology to identify all risks that may possibly affect a company and automatically gives every risk a score. This makes it easy to quickly identify the highest risks and take the necessary action. LogicGate ERM also simplifies risk monitoring and documentation thanks to its advanced reporting features, dynamic monitoring questionnaires, and deadline-driven request management and documentation. 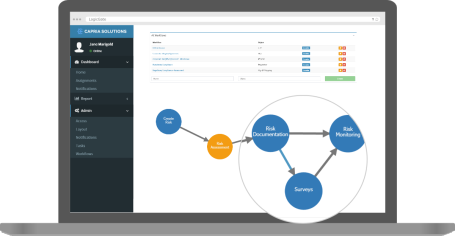 LogicGate Enterprise Risk Management software is packed with advanced risk assessment and monitoring features that will satisfy the needs of a business of any size. Highly recommended.